Gary Phillips’ community activism in Los Angeles over a quarter century—on issues ranging from affordable housing to gang intervention to neighborhood empowerment—served him well when he began writing crime novels. When rioting in Los Angeles followed the acquittal of Los Angeles police officers in the videotaped beating of black motorist Rodney King, Phillips wrote Violent Spring, and set the action against the true-life backdrop of the riots. Thus was launched his Ivan Monk private detective series. Reviewers often slotted this and subsequent Monk books as more “whydunits” than “whodunits,” because they involved social, racial and class issues. The author further stretched mystery novel traditions with another series character, a black woman, Martha Chainey in High Hand, a retired showgirl now running money for a Las Vegas mobster. She has to recover the $7 million which has been stolen from her. “An air of heightened tension marks this novel from the outset,” said reviewer Rex E. Klett. 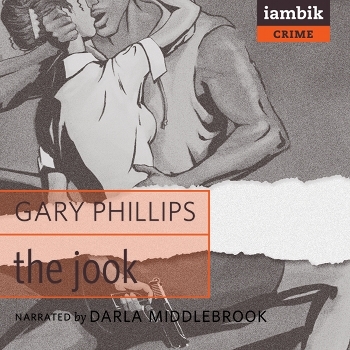 Not all of Phillips’ books are series; The Jook is one example of a standalone novel. Gary is also an editor of PM’s Switchblade imprint.